Splurgo Audio announced two new samplepacks to start the new year in a rhythmic way. Arabic Framedrum (http://www.splurgo.com/Arabic-Framedrum-p-16435.html) – These framedrum loops are played with brushes and without bells and contain many popular middle eastern rhythms like maqsuum, sombati, waahida and sayyidii. The loops are designed to be combined with the Arabic flute and Darbuka packs. The pack contains 39 loops at 130 bpm. This pack is available in Sony Acid WAV and Apple Garageband AIFF for $5.95. The bundle including Arabic flute and Darbuka loops is available for $16.88. Bongo Loops (http://www.splurgo.com/Bongo-Loops-p-16435.html) – These bongo loops are designed to sound perfect with any percussion related music but are also great as a backup in your house track, according to the company. The pack contains 39 loops at 130 bpm. This pack is available in Sony Acid WAV and Apple Garageband AIFF for $5.95. Splurgo Audio Mixed Guitar Pack Splurgo's Mixed Guitar Pack contains loops in all different genres, acoustic and electric. Splurgo Audio Punk Guitars Loops Splurgo has released a new collection of punk guitar samples. 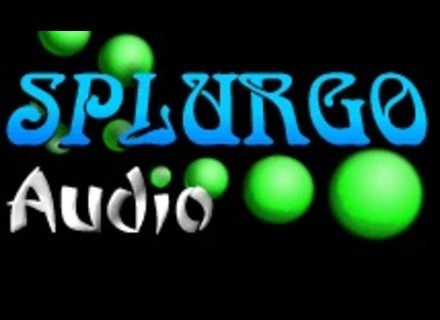 Splurgo Audio Ambient Pads The second set of eerie and tense rising soundscapes is available for sale now.